(16 November 2011) Iranian authorities should stop misrepresenting their human rights record in order to deflect international criticism and justify widely reported illegal detentions, said the International Campaign for Human Rights in Iran today. 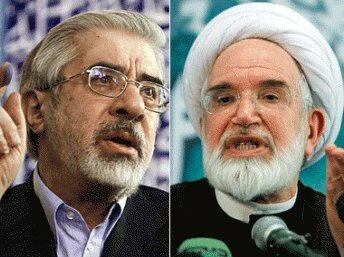 Mohammad Javad Larijani, a top Iranian official and head of the High Council for Human Rights of the Islamic Republic of Iran, told the United Nations press corps today that opposition leaders Mir Hussein Mousavi and Mehdi Karroubi have been charged with incitement to violence, amongst other crimes. Larijani also said that Abdolfattah Soltani, a leading human rights lawyer, is detained because of connections to terrorist groups, although he presented no evidence to support his claim. “It’s astonishing that Mr. Larijani comes all the way to New York, looks reporters in the eye, and manipulates the truth about Iran’s human rights record, making absurd and unfounded claims about such prominent prisoners of conscience,” said Hadi Ghaemi, the Campaign’s spokesperson. Authorities placed Mousavi and Karroubi under de facto house arrest in February 2011, after they called for a rally in solidarity with popular movements in Tunisia and Egypt. Authorities ignored their request for a rally permit. Nevertheless, thousands of people took peacefully to the streets on 14 February 2011, only to face violent repression by authorities. Since that time, Mousavi and Karroubi have been largely held at their homes in incommunicado detention, with only infrequent contact with their families. Iranian authorities have repeatedly said that Mousavi and Karroubi are not subject to formal judicial proceedings and no charges have ever been formally announced. At today’s UN press conference, however, when asked about Mousavi’s and Karroubi’s house arrest, Larijani said, “Well, nobody is in house arrest without trial and without court order. 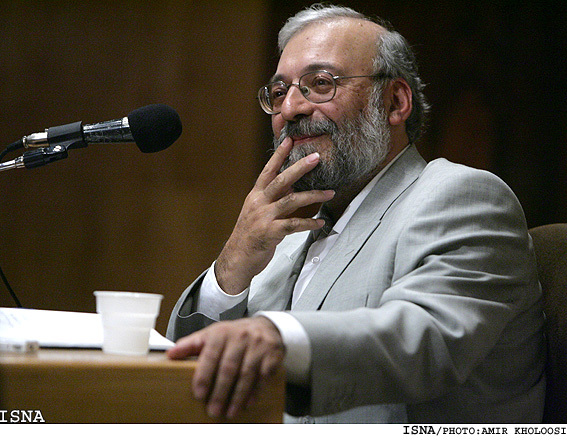 Incitement to violence is a major cause against them, and this is quite apparent for everybody.” Larijani added that the details of Mousavi’s and Karroubi’s charges will come out once court proceedings begin and noted that they were also charged with other “illegal activities,” which he did not name. “As the government’s leading human rights official, Larijani should defend the freedoms of government critics, not level baseless accusations against one of the country’s most respected human rights defenders” said Ghaemi. Authorities arrested Soltani, co-founder of the Defenders of Human Rights Center, on 10 September 2011. According to Soltani, his charges are “propagating against the regime,” “establishing the Defenders of Human Rights Center,” “assembly and collusion against national security,” and “accepting an unlawful prize.” The “unlawful” prize is the Nuremberg International Human Rights Award, which Soltani received in 2009. Currently, Soltani is being held in Ward 209 in Evin Prison. This is Soltani’s third arrest since 2005. Since Iran’s 2009 presidential election, over forty lawyers have been arrested and persecuted for defending prisoners of conscience, conducting human rights activities, and exercising free speech. In addition to Soltani, they include prominent human rights defenders Nasrin Sotoudeh and Mohammad Seifzadeh, who are incarcerated for their work. Another member of the UN press corps asked Larijani about his government’s lack of cooperation with Ahmad Shaheed, UN Special Rapporteur on the situation of human rights in Iran. Larijani claimed Shaheed is welcome to visit Iran so long as he conducts his research in a “professional” manner, which he stated would include an extended in-country fact-finding mission. However, since Shaheed’s mandate as Special Rapporteur began on 1 August 2011, the Iranian government has not formally responded to Shaheed’s requests to visit Iran. 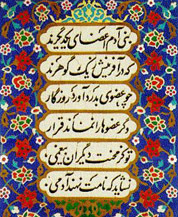 Larijani’s seemingly open invitation therefore contradicts the Iranian government’s approach to Shaheed thus far. Moreover, Iran has not allowed any UN human rights Special Rapporteurs to visit the country since 2005 and ignores the bulk of communication from these mechanisms.